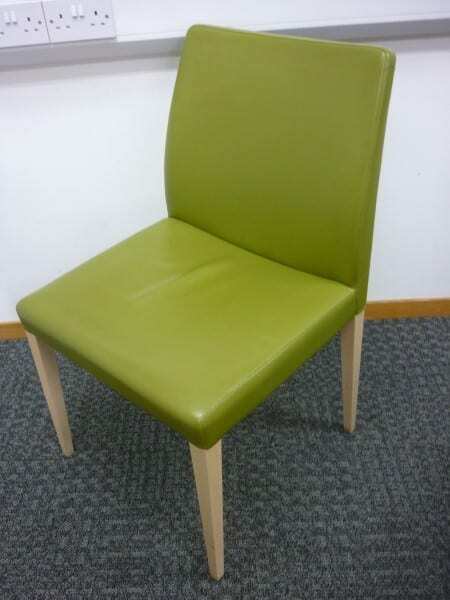 The clean lines and simple design of these Poltrona Frau Liz chairs will add understated style to your workspace. 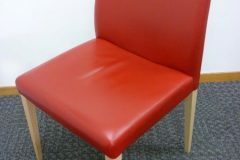 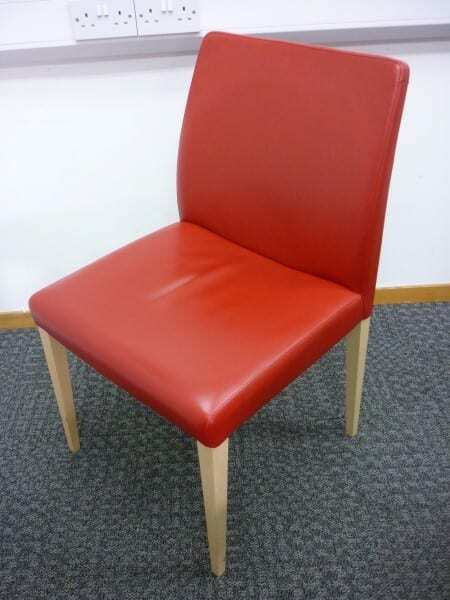 They have natural beech feet and frames and are upholstered in either green or red sumptuous leather. 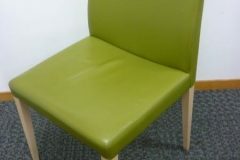 The seats and backrests are padded with polyurethane foam to boost your comfort.